Ariel. 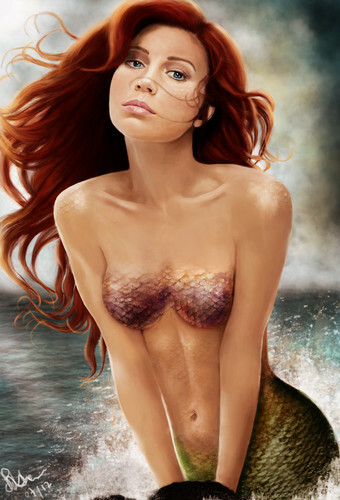 My take on a realistic Ariel. The डिज़्नी character was modelled after Alyssa Milano so I did the same. और डिज़्नी Princesses to come!. HD Wallpaper and background images in the क्लॅसिक डिज़्नी club tagged: ariel disney princess mermaid alyssa milano. This क्लॅसिक डिज़्नी fan art might contain आकर्षण, अपील, गरमी, आकर्षकता, गर्मता, बिकनी, दो टुकड़ा बिकनी, स्नान सूट, दो टुकड़ा स्विमिंग सूट, स्नान सूट दो टुकड़ा, अधोवस्त्र, अंतरंग परिधान, and नीचे पहनने के कपड़ा.